Is This An Oral, Outcry Auction? Yes. Father Time® Auctions will hold a public, oral auction on the premises. Once an opening bid is received or called out, the auction process begins and the bidding will advance above the opening bid in increments established by the auctioneer. Are the Auctions Published Online? Yes our auctions are published online and are Internet Bidding is available for most properties. Father Time® Auctions has a mobile website so you can view the auctions from your hand held mobile device and even bid remotely. You will need to be registered online to bid..
How do I Find Out about the Property Specifics? Information about the property is published on the Fathertime.com website. It is complete with property disclosures, terms and conditions of the sale, photos, directions and other information to help you learn about the property. This information is available to be printed out. Physical Inspections can be arranged and most properties have an Open House date scheduled. On site there is a complete Property Auction Booklet. How Can I Participate In This Real Estate Auction? To be eligible to bid, a potential buyer must register with our office either prior to the auction or the day of the auction. Look to the terms and conditions for each auction published on our website for guidance or call us. Some auctions will require all bidders must post a pre-determined amount of money in the form of a certified or cashier's check. Contact our office for the amount of the deposit as each auction sale is different. Personal checks may be accepted in certain situations, but you must contact our office prior to the auction. If you are the high bidder, a non refundable check becomes your hand money; you sign an agreement of sale incorporating the auction terms. Does The Owner Have To Take The Highest Bid That Day? It depends. Almost all of our real estate auction sales have "reserve" numbers that are determined by the seller. The reserve number is not disclosed before the auction. If the high bid the day of the sale exceed the seller's reserve number, then it is automatically "confirmed" and the buyer must proceed to the closing. If the high bid does not meet the seller's reserve number, the seller has up to 72 hours to decide whether to accept the lower number. What Is Meant By "Suggested Opening Bid?" The suggested opening bid is the number that the auctioneer considers a fair starting point for the oral auction. The suggested opening bid is not the seller's "reserve" number. If I Am The High Bidder, Is My Bid Contingent Upon Me Obtaining a Mortgage? If I Am The High Bidder, Is My Bid Contingent Upon Any Inspections? Generally no. Most real estate auctions are "as is, where is". Potential buyers often have inspections done before the auction. We will make the property available at any time for any type of inspection. If you want to bid on a home but only if it is with an inspection contingency, please contact our office. The seller can make the decision to allow certain inspection contingencies and this has been done in the past. Can I Purchase An Auction Property Prior To The Auction? Absolutely. If a buyer makes an offer prior to the auction sale and it's terms and conditions are acceptable to the seller, the seller can decide to sign an agreement of sale and the auction will be canceled. This is a common occurrence - certain contingencies can be attached to the agreement of sale by the buyer in this situation. Contact our office for details and read the terms and conditions of the auction. What Is The "Buyer's Premium?" The Buyer's Premium is an amount added to the high bid and incorporated into the total selling price. The amount of the Buyer's Premium is announced prior to each auction sale. Can My Real Estate Agent Represent Me? 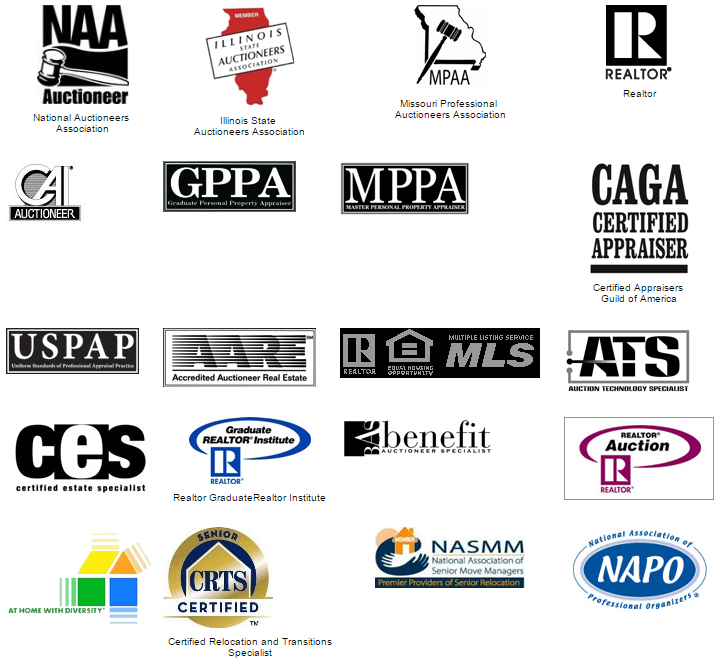 How Can I find Out About Upcoming Real Estate Auctions?